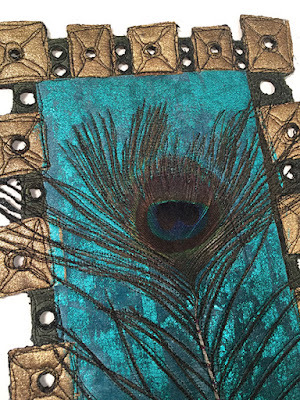 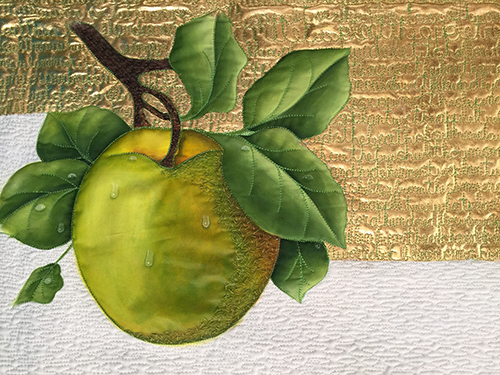 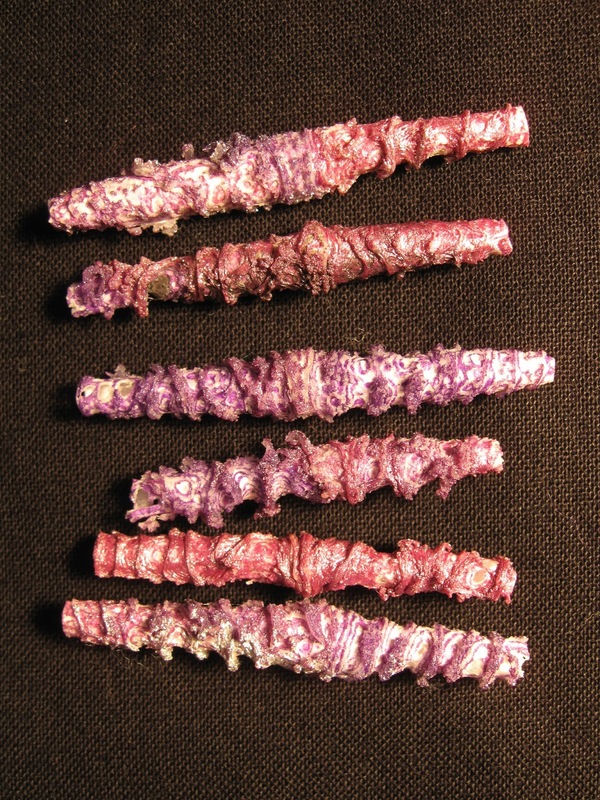 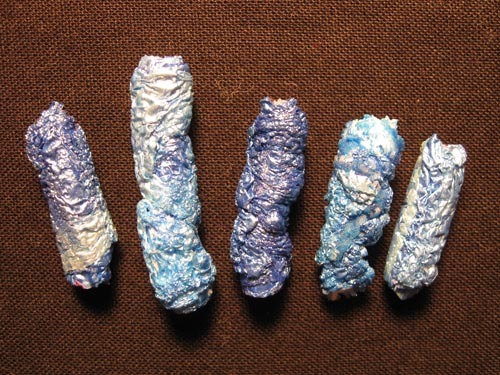 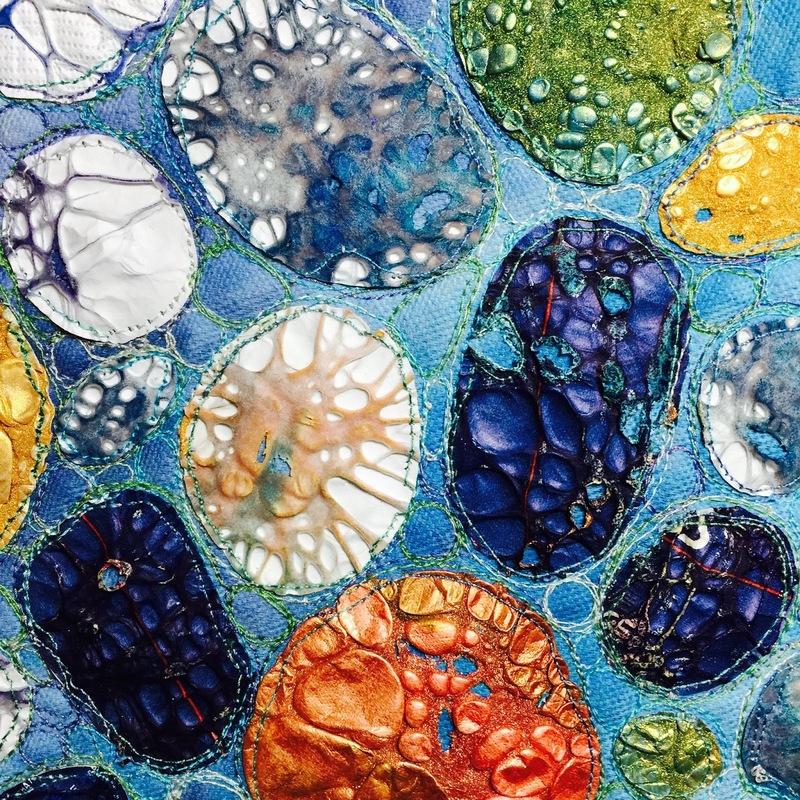 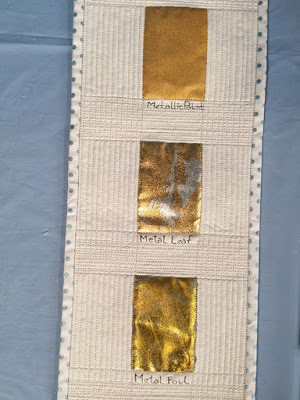 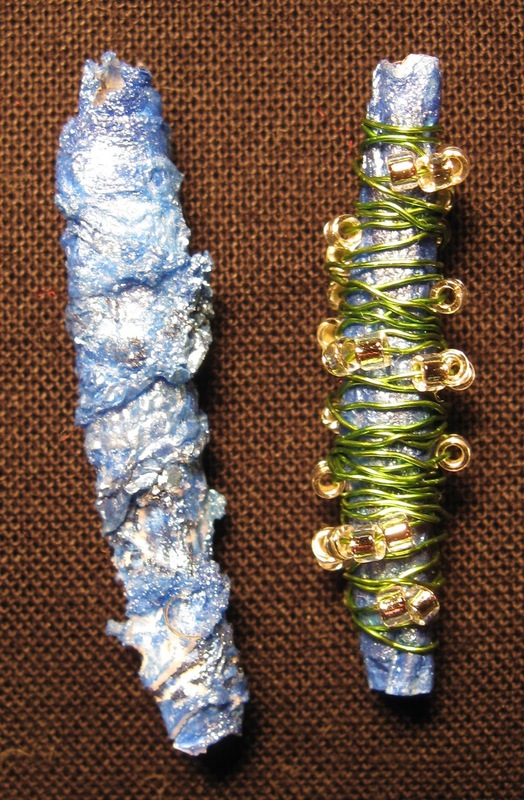 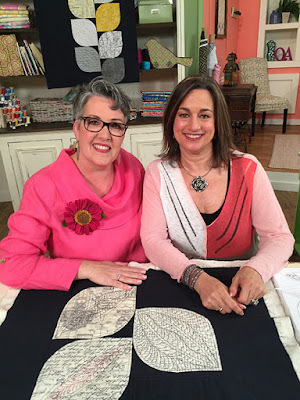 I’ve been working on my very first online class, “Tyvek Explorations,” which I plan to launch this spring. 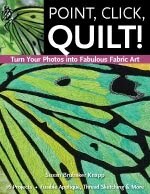 I’m hosting it on the Ruzuku platform, which I’ve taken classes on before, and find very flexible and intuitive to use. 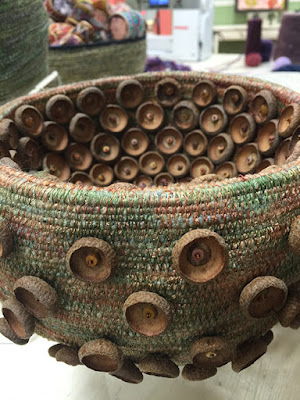 It allows you to post photos of your work, and get feedback, suggestions and support from me and your fellow students. I’ll provide weekly lessons in the format of videos, photos, and detailed information in PDF format that you can print out and save, so you can go back and do the lessons even after the online portion of the class has closed. 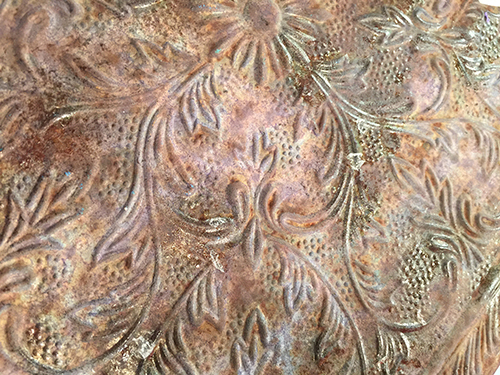 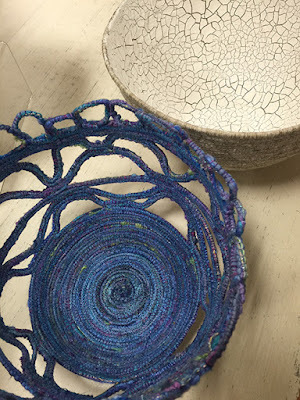 I’m still working out a lot of the details (including pricing), but if you’d like to get more information about the class, please pop me an e-mail at susan@bluemoonriver.com, and I’ll let you know when I open registration. 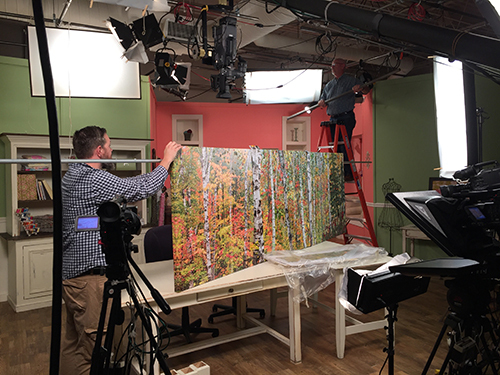 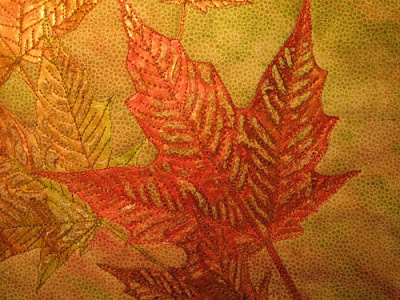 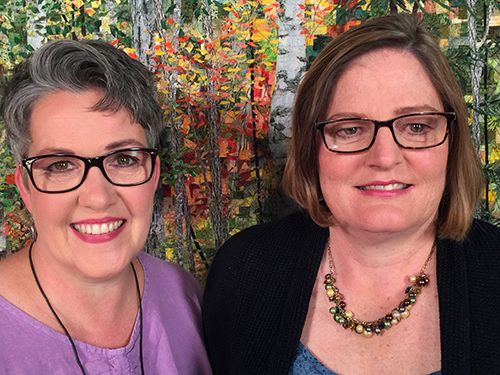 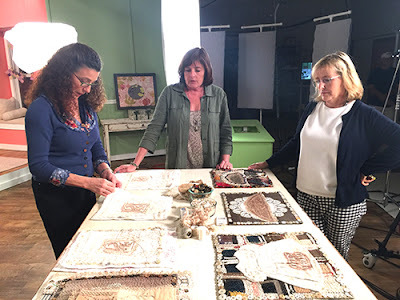 With the release of the DVD and digital download of “Quilting Arts TV Series 1900,” I realized I’d forgotten to share some of the photos I took of the shoot in September! 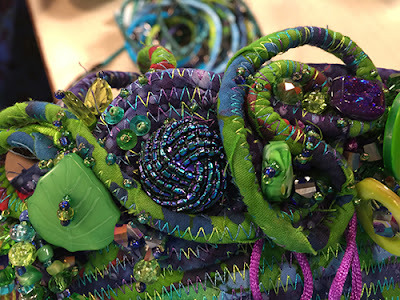 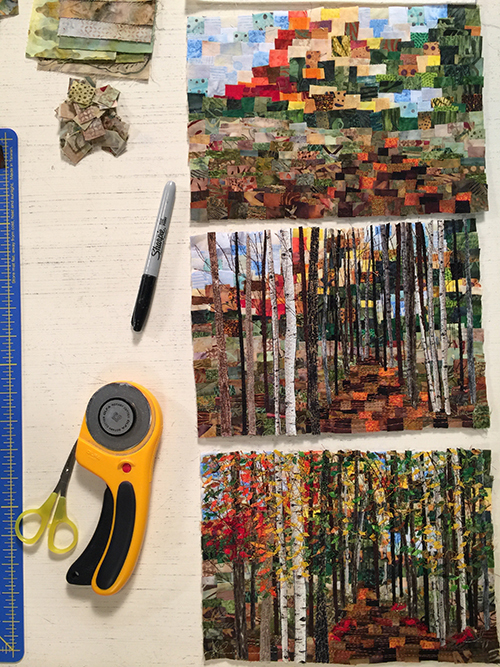 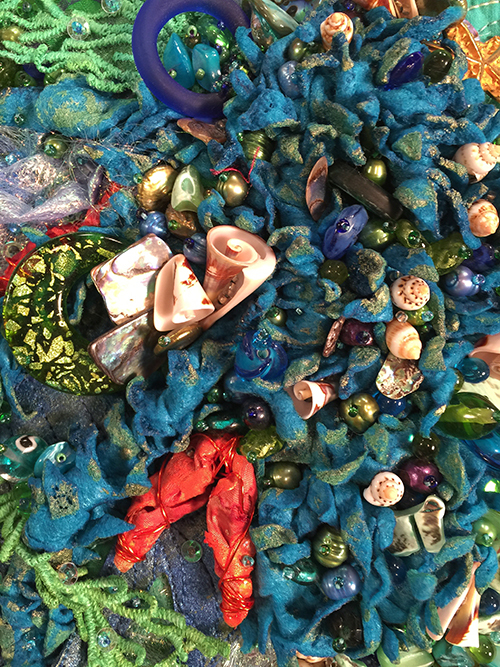 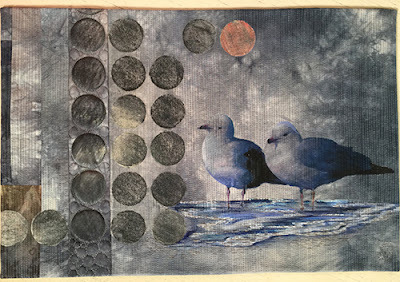 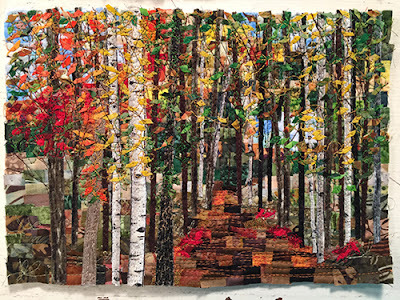 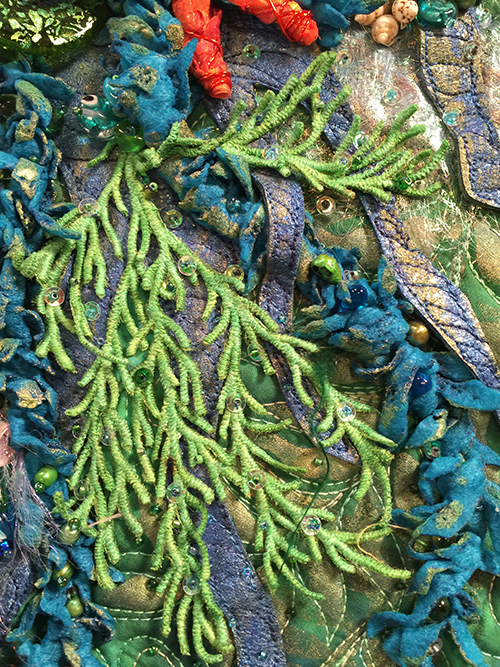 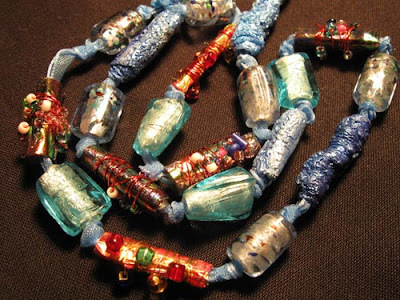 Here are photos of our guest artists: Leni Levenson Wiener, Ana Buzzalino, Susan Lenz, Mary Lou Donahue-Weidman, Heidi Lund, Ann Loveless, Kristine Lundblad, Teresa Shippy, and Ellen Lindner. 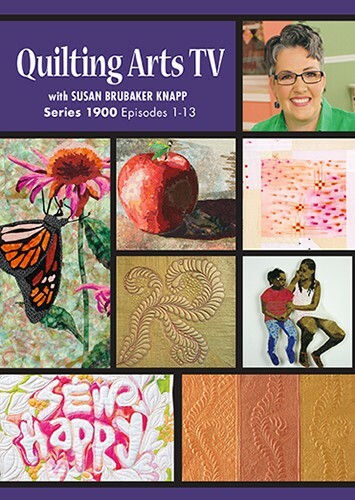 Other guests in Series 1900 (shot previously) include Joann Sharpe, Melissa Averinos, Wendy Butler Berns, Jane Davila, and Grace Errea. 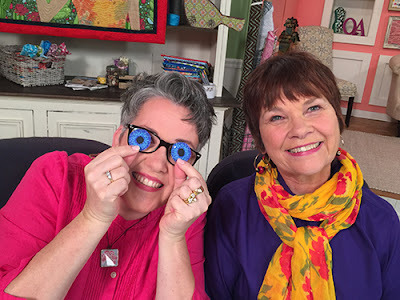 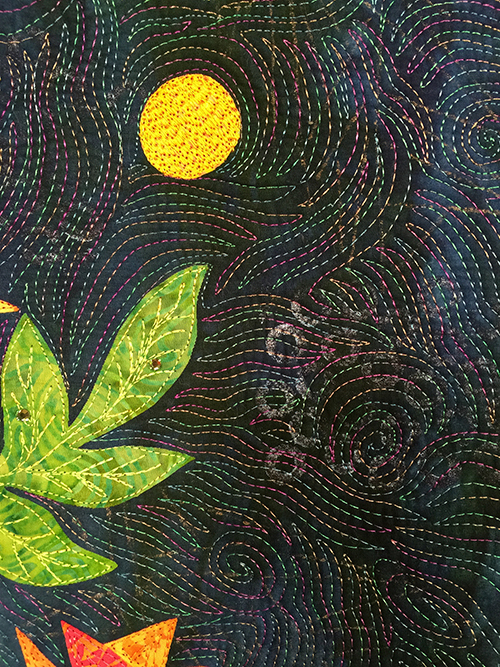 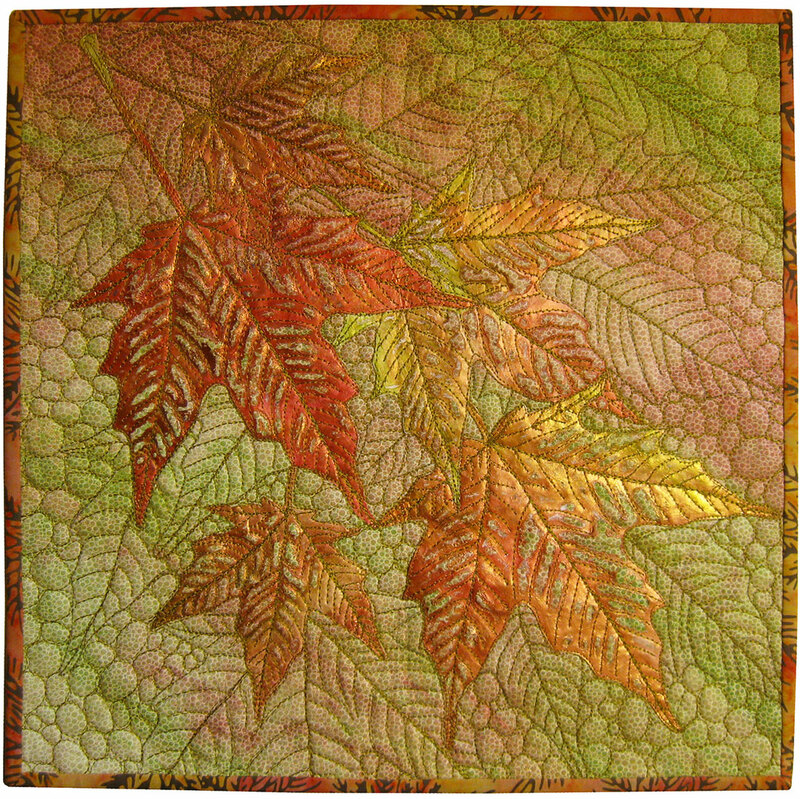 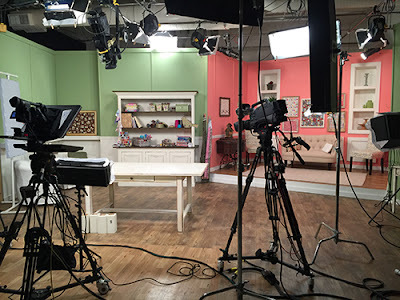 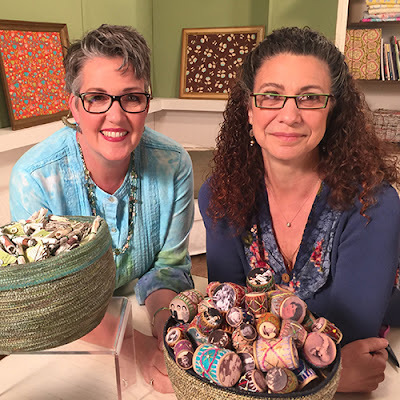 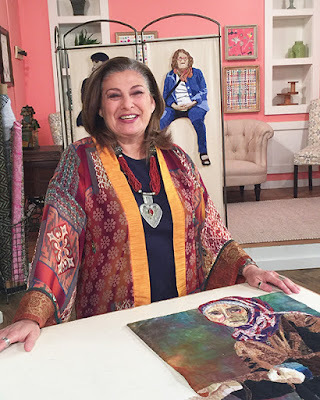 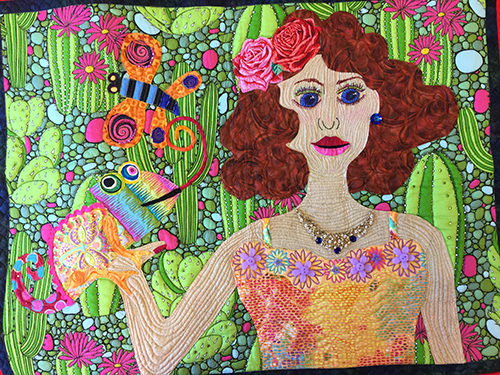 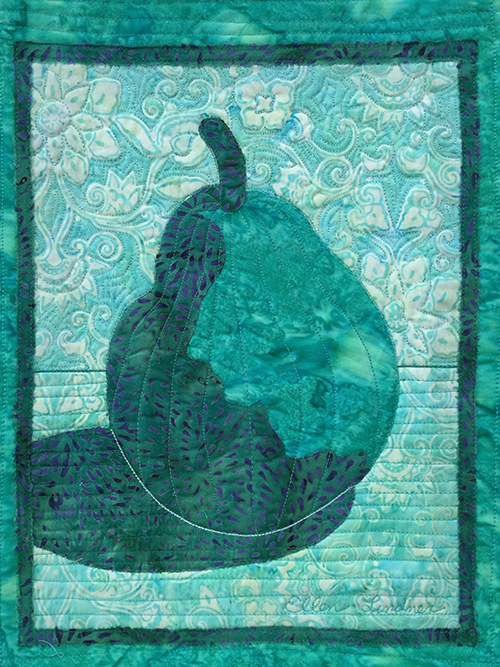 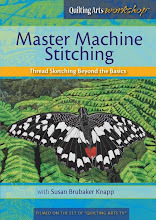 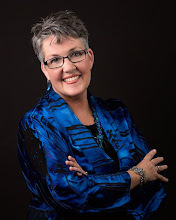 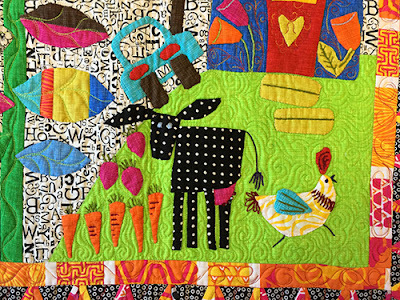 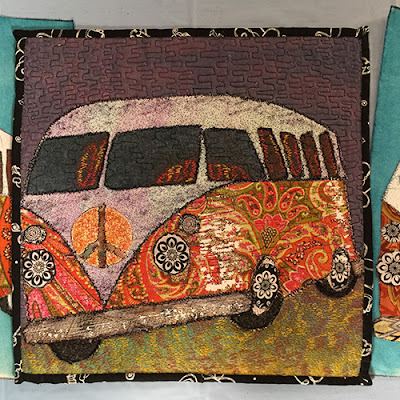 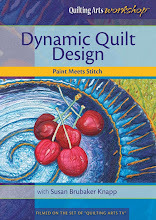 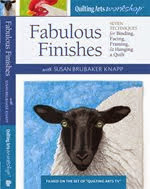 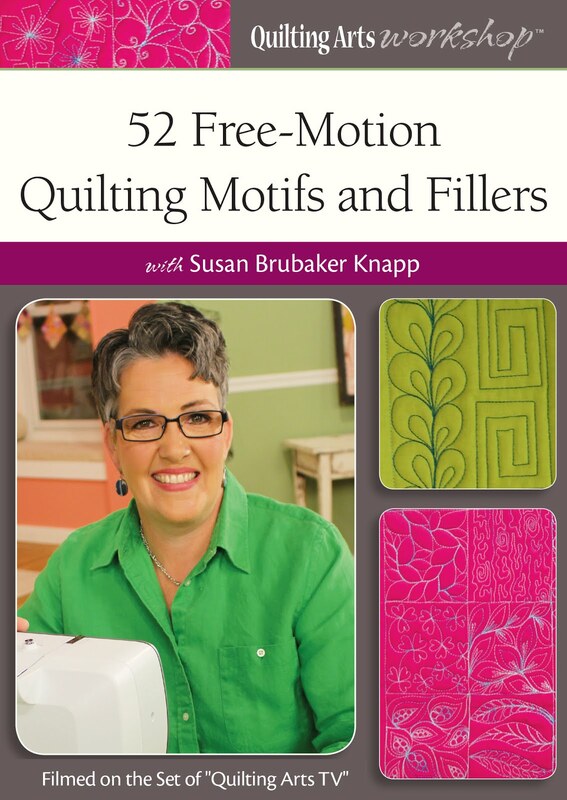 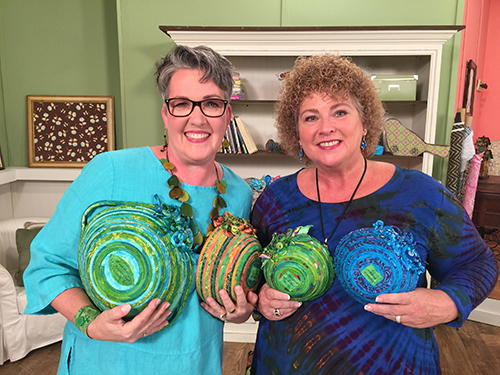 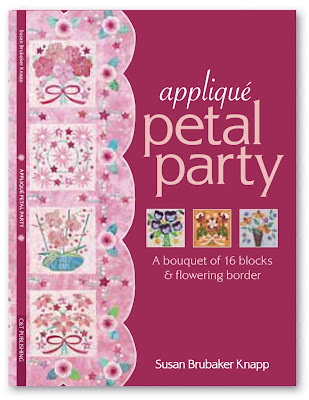 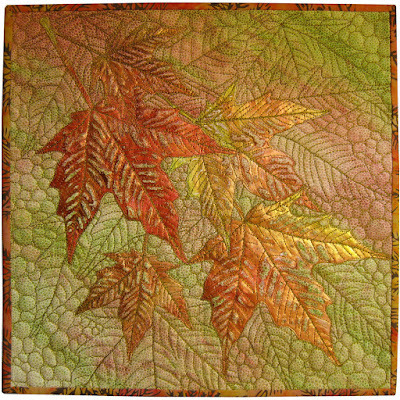 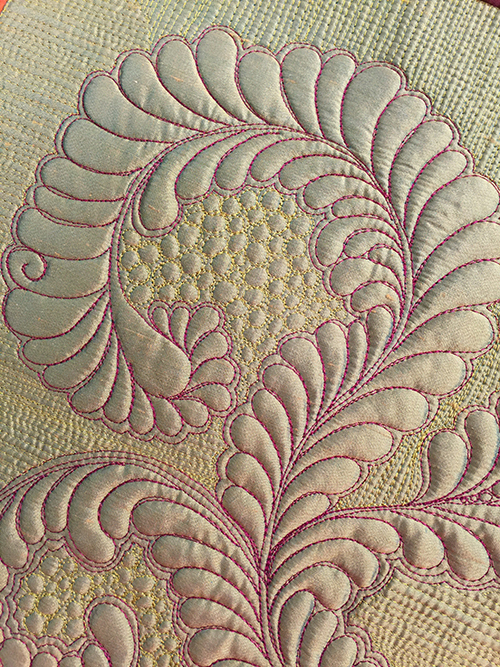 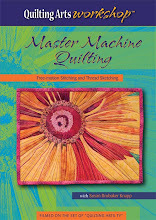 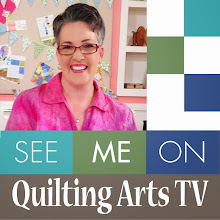 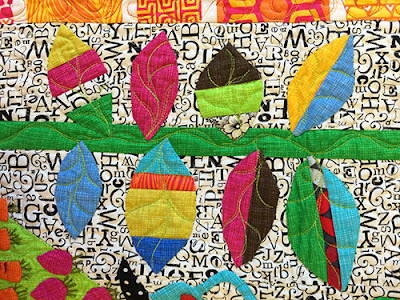 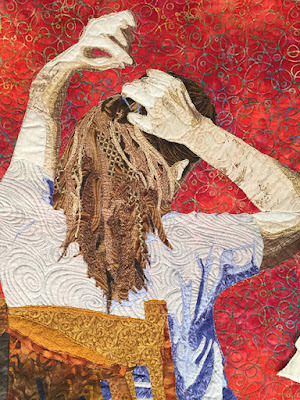 The show airs on more than 400 public television stations in the U.S.; if your station doesn’t carry it, you can purchase the DVD or download on Quilting Daily. The set, ready to roll. 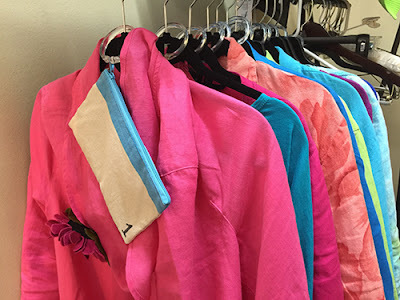 My shirts and jewelry hanging in the dressing room. 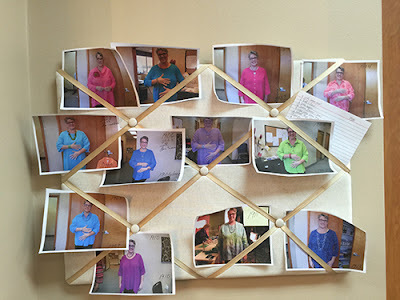 How we keep track of what I'm wearing for each episode. 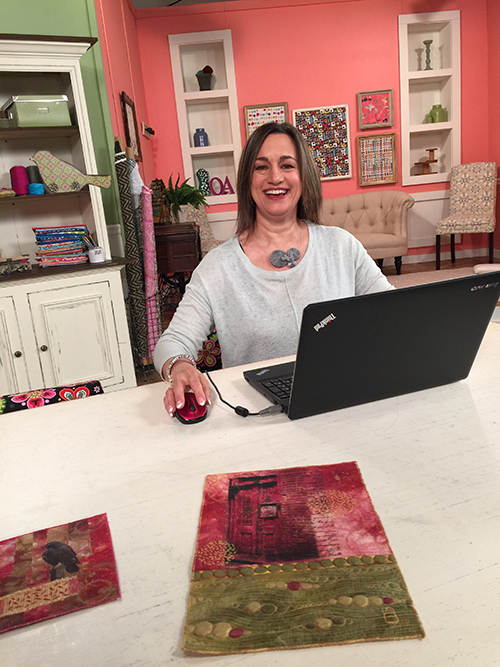 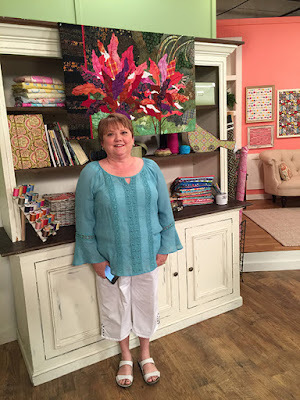 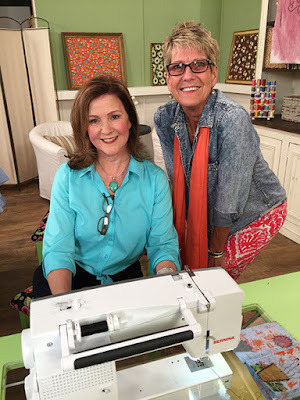 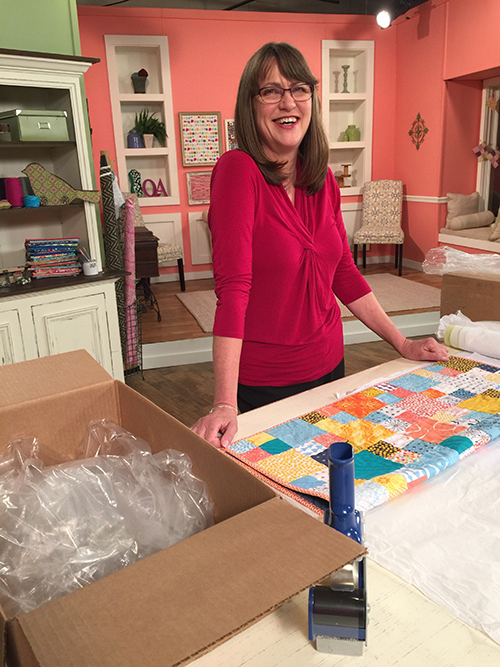 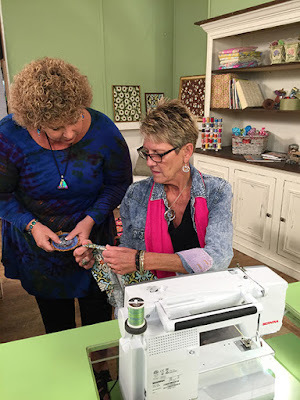 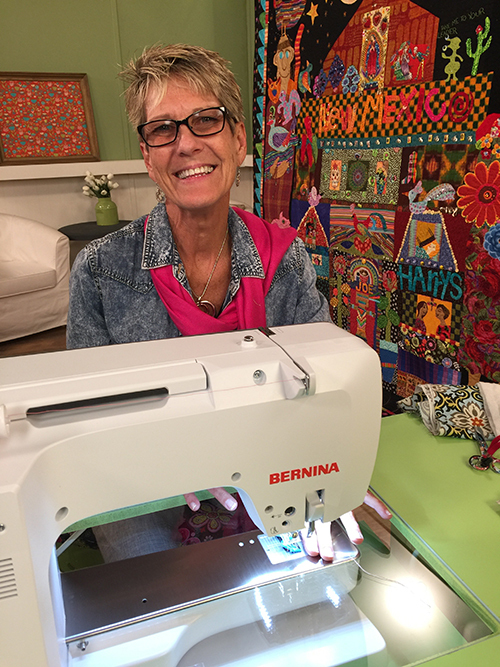 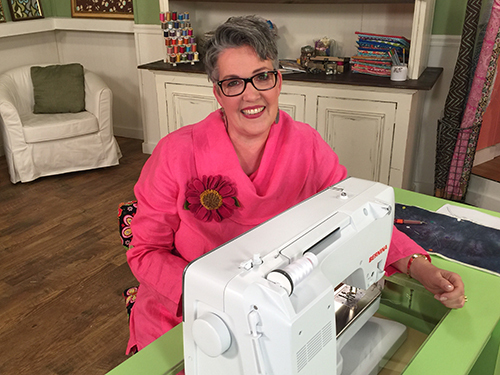 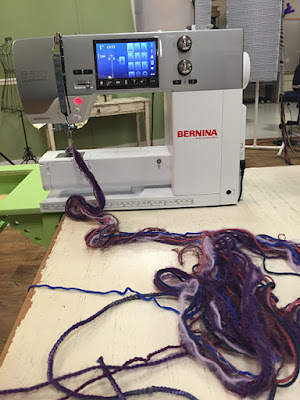 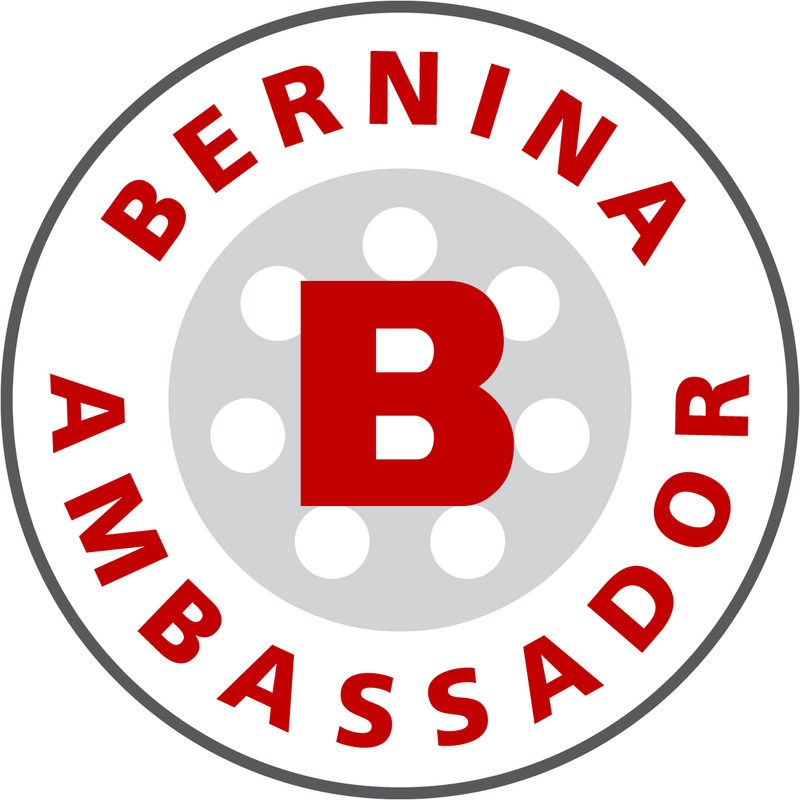 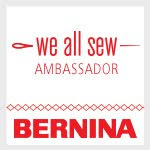 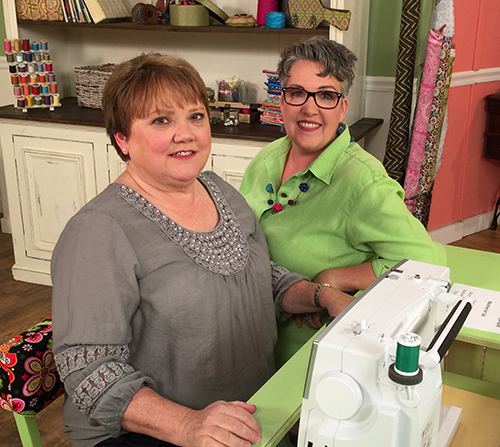 The fabulous Jeanne Cook Delpit, our Bernina representative on set. 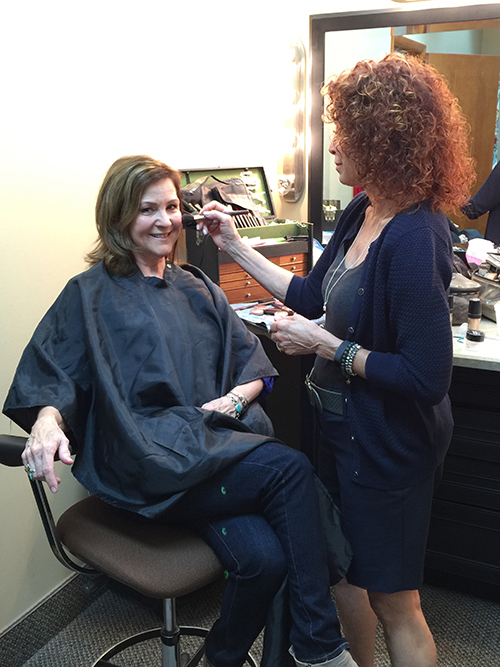 Kristine Lundblad gets ready for her segment. 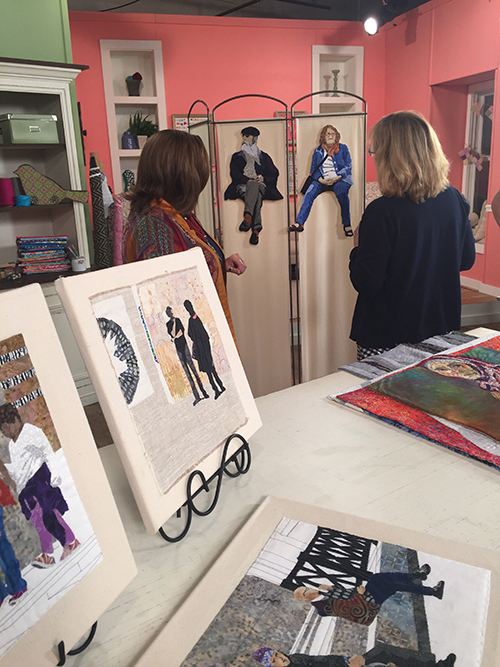 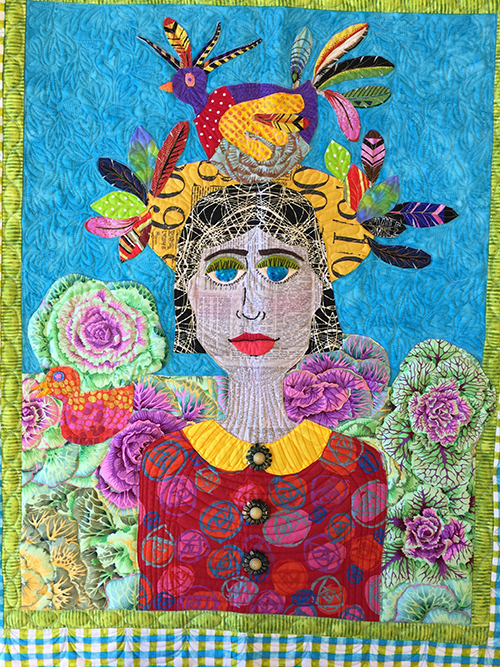 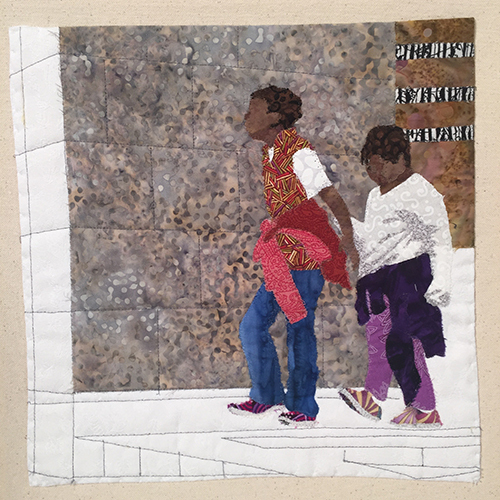 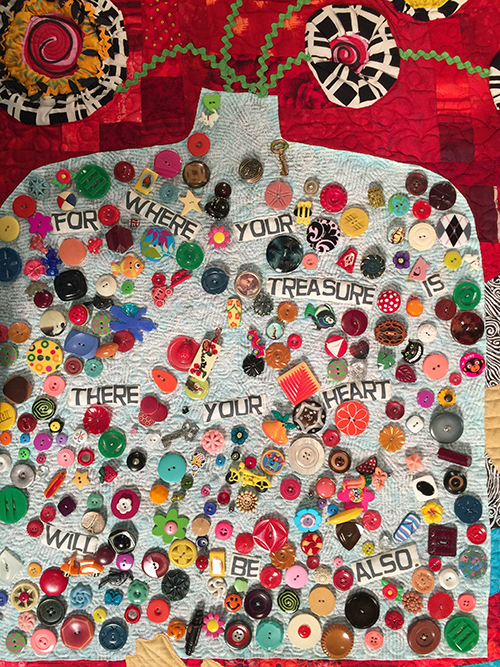 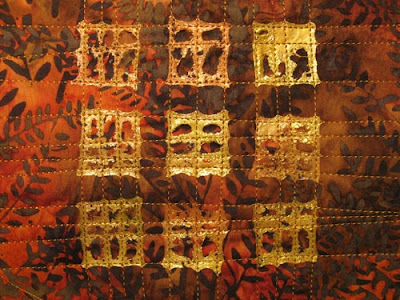 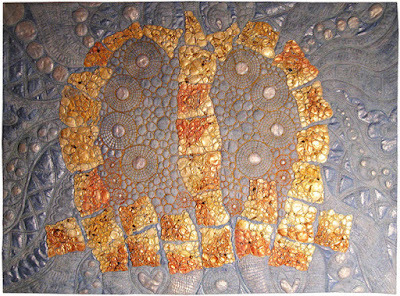 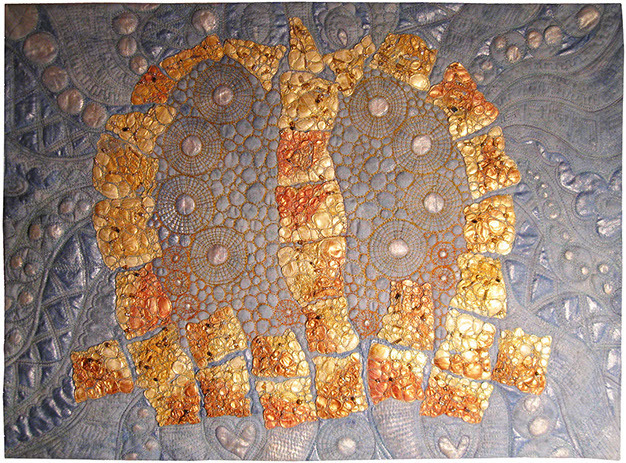 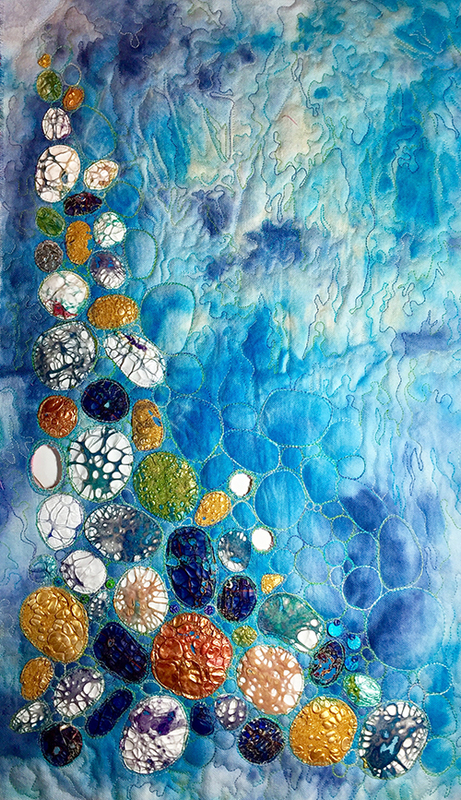 Producer Kathie Stull and Quilting Arts editor Vivika DeNegre look at Leni Weiner’s work. 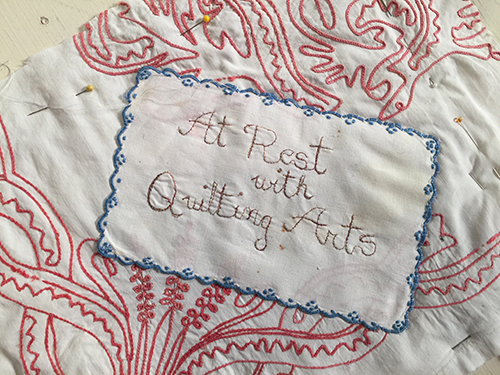 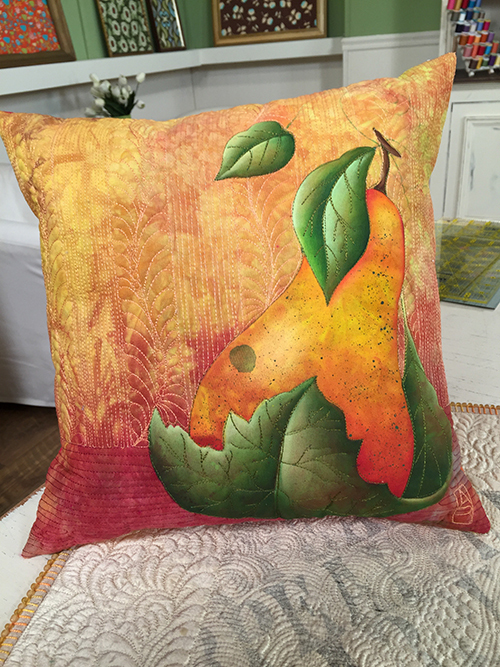 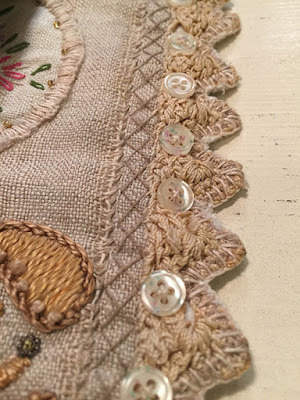 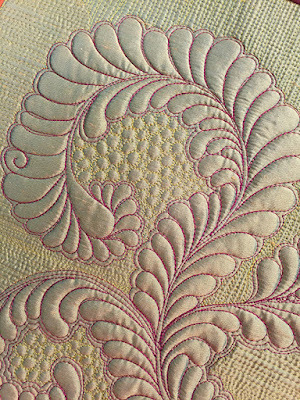 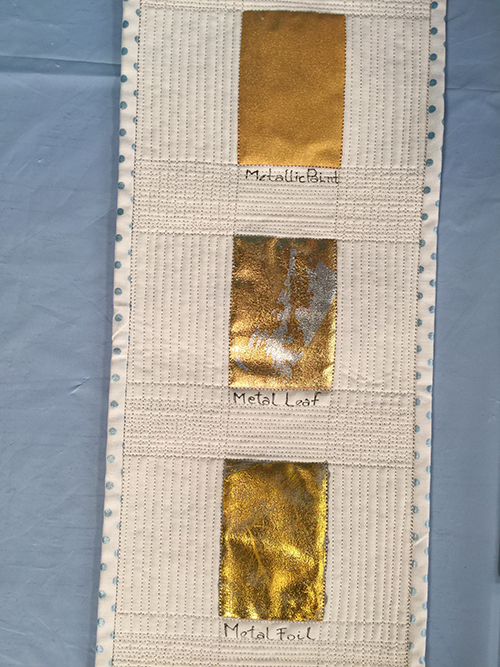 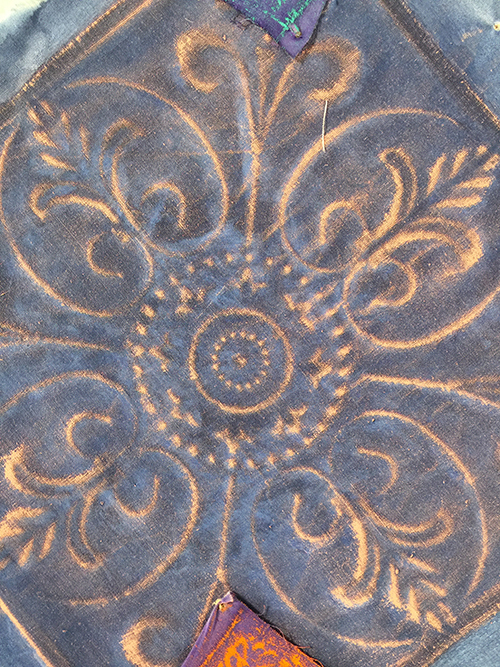 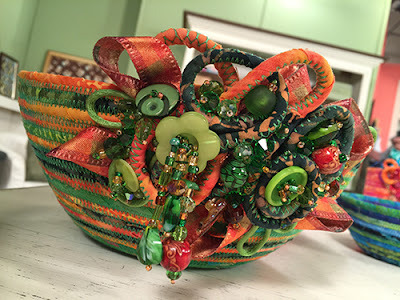 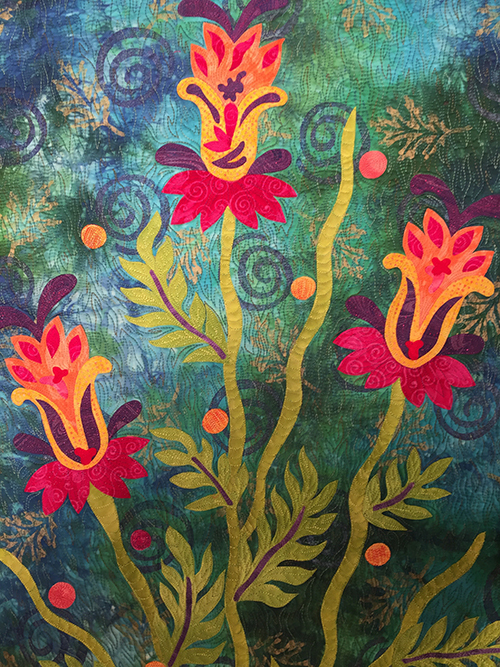 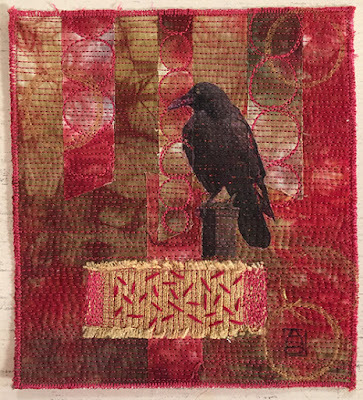 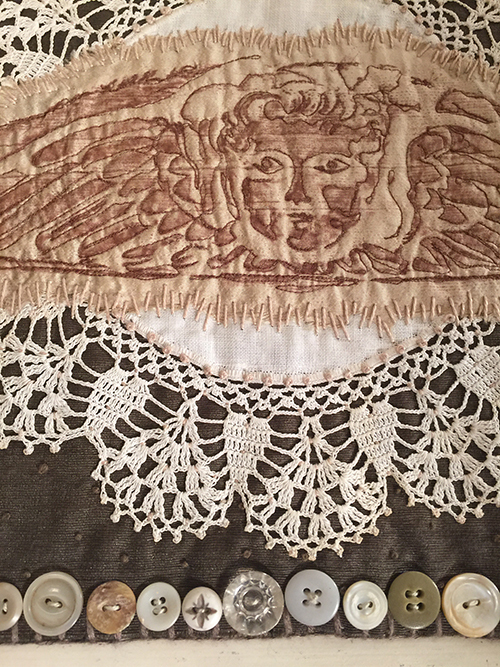 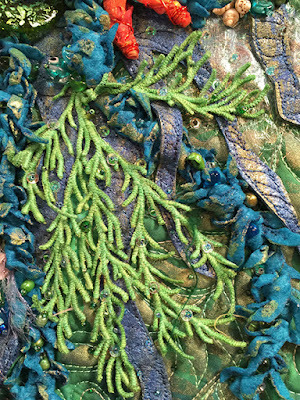 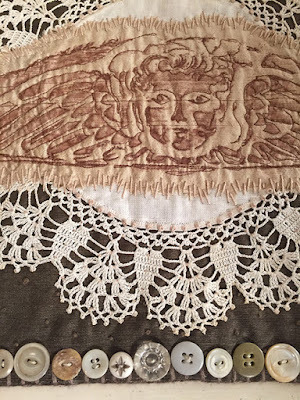 One of Susan Lenz’s pieces made from vintage linens. Susan Lenz prepares for one of her segments with Kathie Stull and Vivika DeNegre. 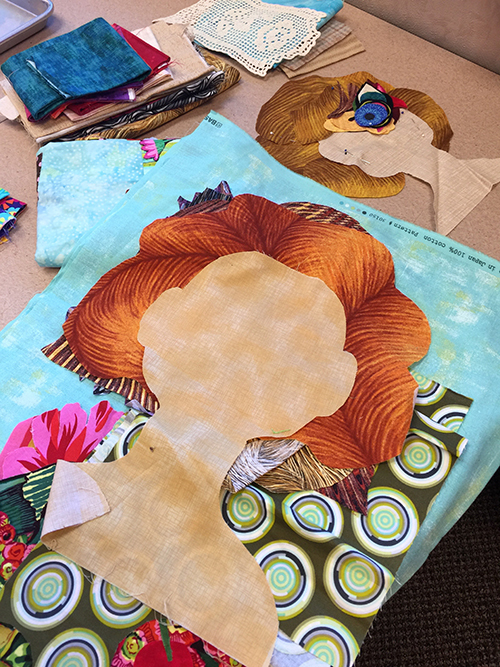 One of Mary Lou Weidman’s faces in progress. Me, with one of the wonderful Bernina machines! 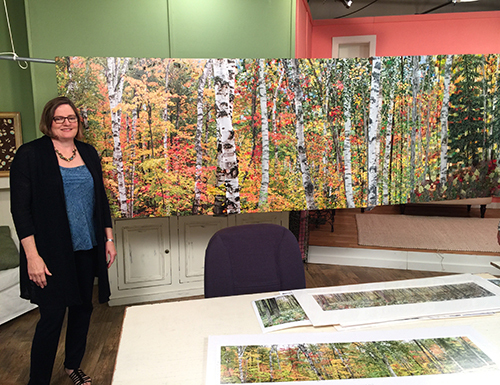 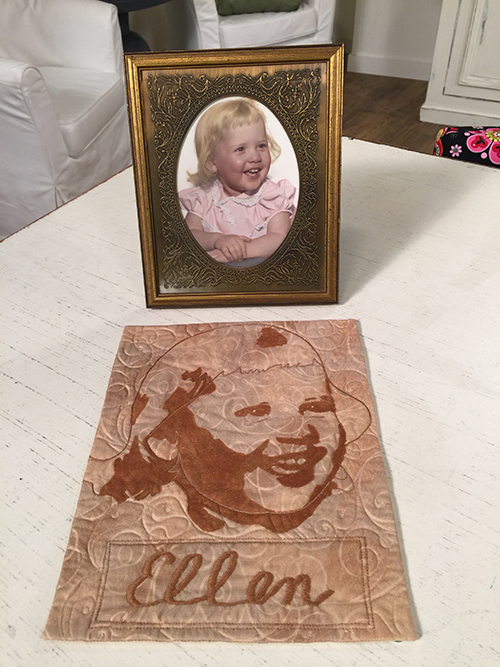 Ann Loveless with her work.